oil on canvas, 16” x 24”, signed upper left. Born /lived: Dalton, GA, North Truro, MA, Sarasota, FL. Studied: Corcoran Art School, with C.W. Hawthorne, Clinton Peters. 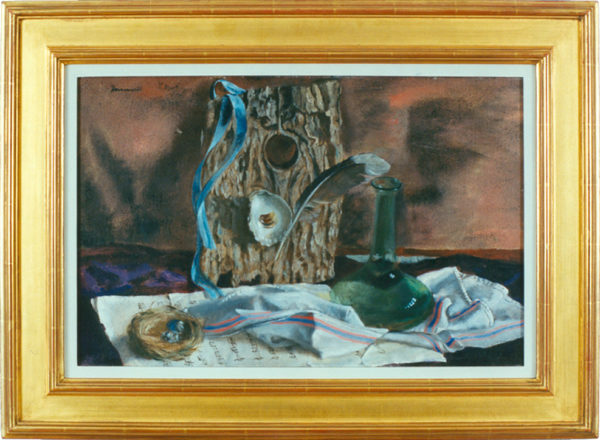 Member: Associate National Academy, 1933, National Academy of Design, 1935, Provincetown Art Association, Salmagundi Club, National Arts Club, Washington Art Club, Washington SA, Ten Painters of Washington. Exhibited: National Academy of Design, (prizes), Grand Central Gallery, Washington SA(Exhibitions held at the Corcoran. Positions: Instructor, New York State Edu., Farnsworth School, North Truro, MA and Sarasota, FL. Comments: He was married to artist Helen Sawyer.